Ryan may mock me, but I don’t even care. “Sweet potatoes again?” YES. Please. Get in my belly. I love them and they are healthy, so step off! Plus, he eats them every single time I cook them, so I know deep down he enjoys them too. My kids love them and it’s easy….so in my mind, it’s a win win! 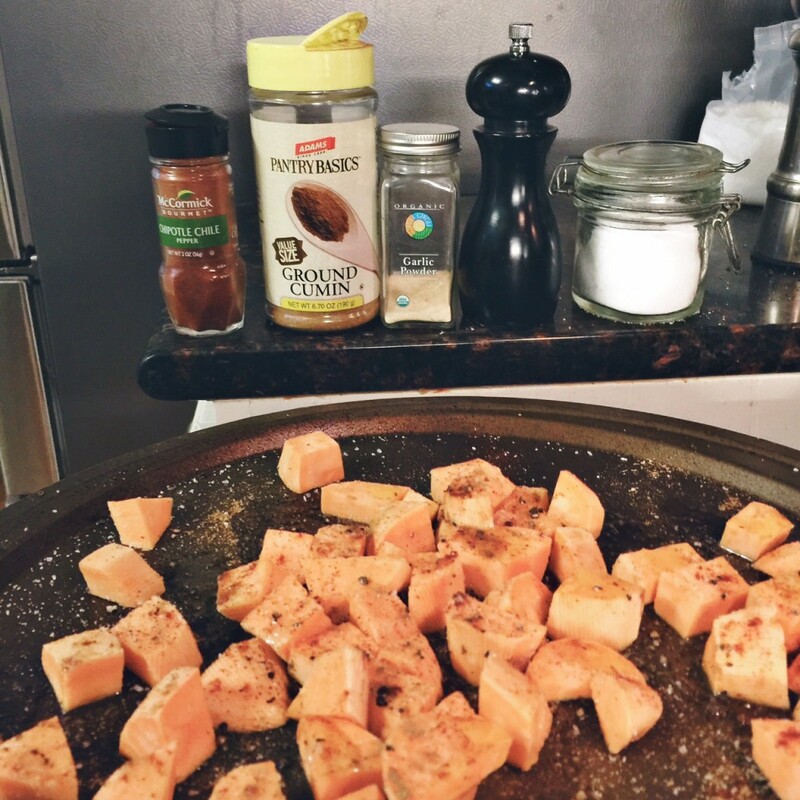 Here’s my new found sweet potato obsession, how I cook them and how I eat them. Hope you enjoy as much as I do! First, preheat your oven to 425 degrees. Then, cut 2-3 good size sweet potatoes into small chunks and place on a cookie sheet. Drizzle with some extra virgin olive oil. Then here’s the secret…are you ready? Give them all a little toss with your fingers to make sure all the potatoes are evenly coated with goodness. Then bake for about 20 minutes or until desired doneness. I always like mine a little crispy! 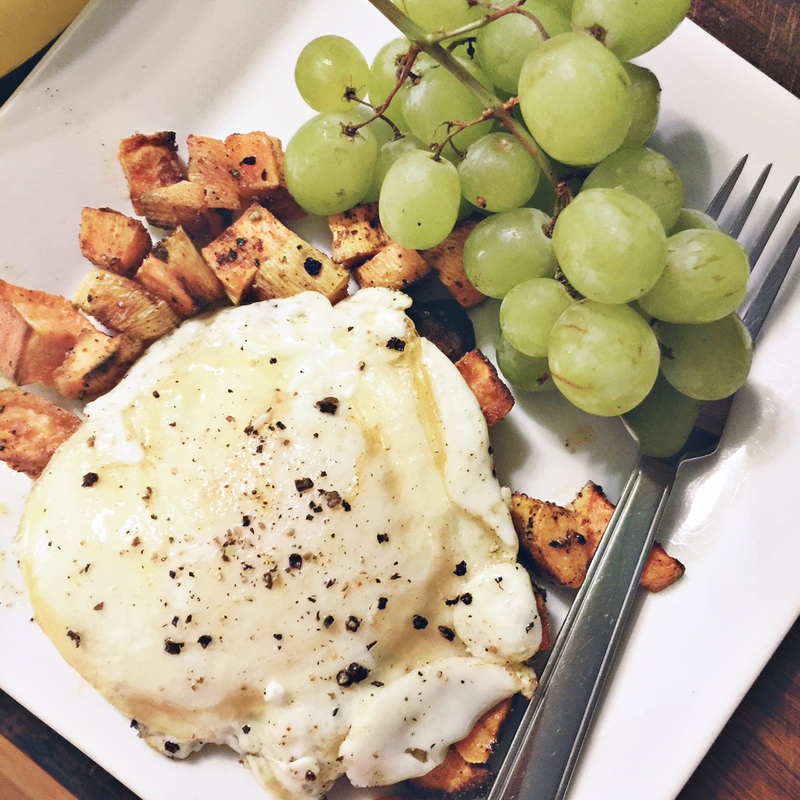 Usually, I eat these delicious sweet potatoes with a fried egg on top and a side of fruit or bacon! But sometimes we have them with dinner as a side dish to a grilled meat. So there you go. Easy peasy. My new sweet potato obsession. Enjoy my friends! Oh and if you have another way to make them, please oh please leave me a comment below & share. Previous PostPrevious Story Cast – Brand new Podcast Launch!